Middletown Honda has been serving the automotive needs of drivers from Mechanicstown for years. Plenty of customers trust us for our great range of SUVs, with the 2015 Honda CR-V proving particularly popular. 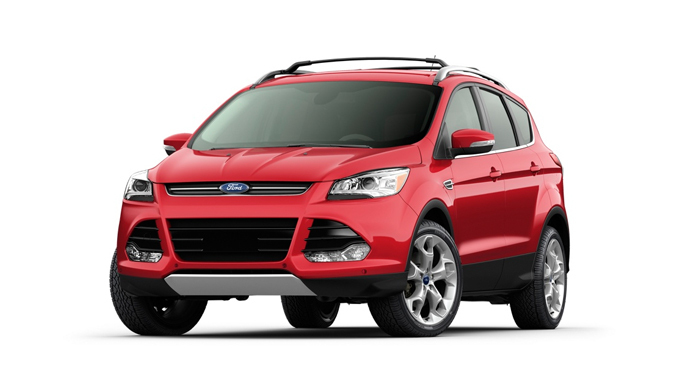 However, the 2015 Ford Escape is turning heads, and many customers wonder which of these crossovers is ideal for them. Let’s find out. LX: Starting at $23,320,* the LX is a standard model with far more features than you’d expect, including cruise control, HandsFreeLink technology, and SMS text messaging. EX: The EX starts at $25,420,* and offers a higher level of comfort for discerning drivers. You’ll also receive Push Button Start capability, and even Honda LaneWatch. EX-L: Beginning at $28,020,* the EX-L provides an enhanced sound system and improved convenience technology. You also get dual-zone climate control to keep everyone comfortable. Touring: With a base MSRP of $31,520,* there’s an impressive array of features in the Touring trim. The vehicle is particularly noted for its safety, with Lane Departure Warning and a Collision Mitigation Braking System. 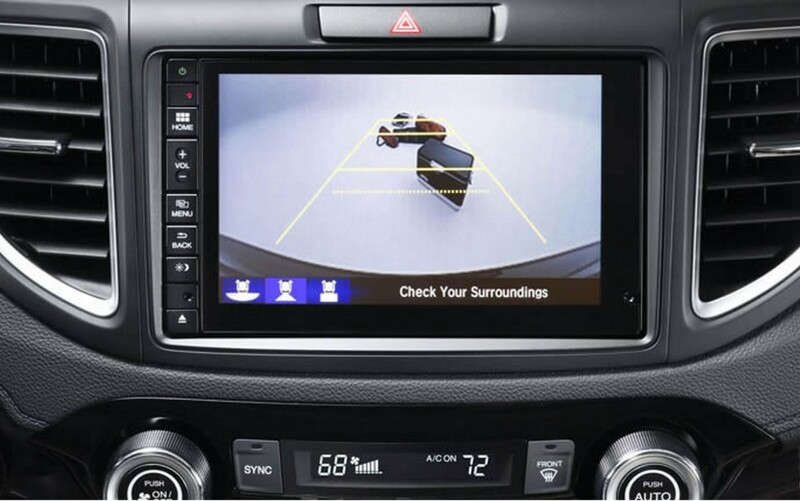 S: Starting at $22,960, the entry-level 2015 Escape comes with a rearview camera, AM/FM radio, and cloth-trimmed front bucket seats. It comes standard with a perfectly capable 2.5L I-4 engine. SE: For $25,160, you get a 1.6L EcoBoost Engine, dual chrome exhaust tips, and the option of paying for a Class II Trailer Tow Package. Titanium: Middletown and Mechanicstown drivers are charged $29,245 for a top-of-the-range Escape. For their money, they’ll be able to take advantage of many add-ons, such as a power panoramic vista roof and a voice-activated navigation system. The 2015 Ford Escape trims are slightly cheaper, but expect you to pay more for extras which should really be included as standard. 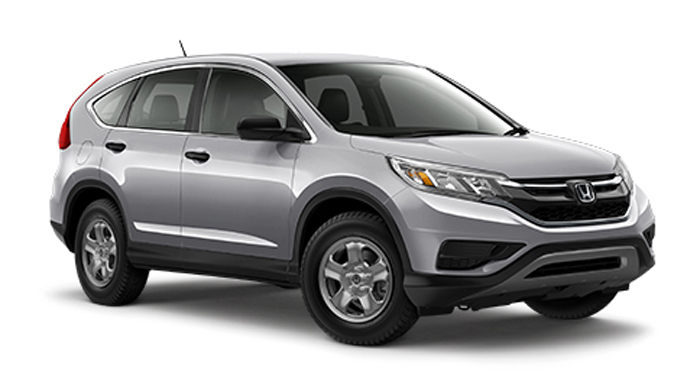 The 2015 Honda CR-V is a bit more feature-rich throughout. 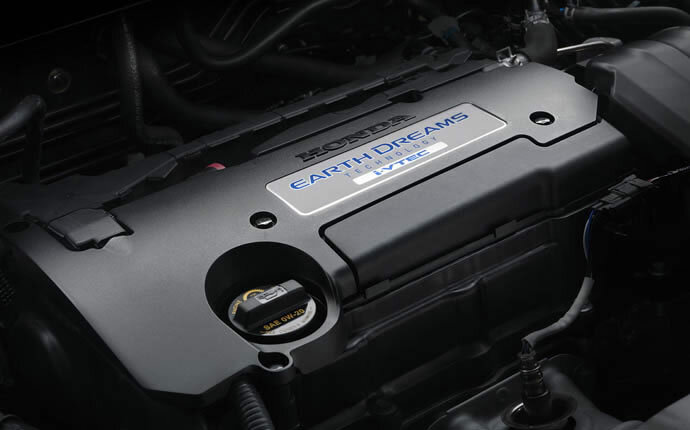 2.5L Duratec I-4: Provides 168 hp and 170 lb-ft of torque. 1.6L EcoBoost I-4: Provides 178 hp and 184 lb-ft of torque. The 2015 Ford Escape does allow you to take advantage of a higher degree of power; however, you will be charged extra for doing so. It’s also worth noting that all-wheel-drive versions of the Honda CR-V are lighter than all-wheel-drive versions of the Ford Escape, so that extra power will be somewhat muted. As for the 2015 Ford Escape, the S trim provides 22 mpg in the city and 31 mpg on the highway, while the SE and Titanium models with the 1.6L engine get 23 mpg in the city and 32 mpg on the highway. The SE and Titanium models with the 2.0L engine manage 22 mpg in the city and 30 mpg on the highway. Don’t let anyone convince you that size doesn’t matter when it comes to SUV cabins. This is where you’ll need to store all your stuff, and where you and your passengers will need to be able to relax on long drives. Families around Middletown and Mechanicstown should take this seriously.Honda has clearly understood this requirement. 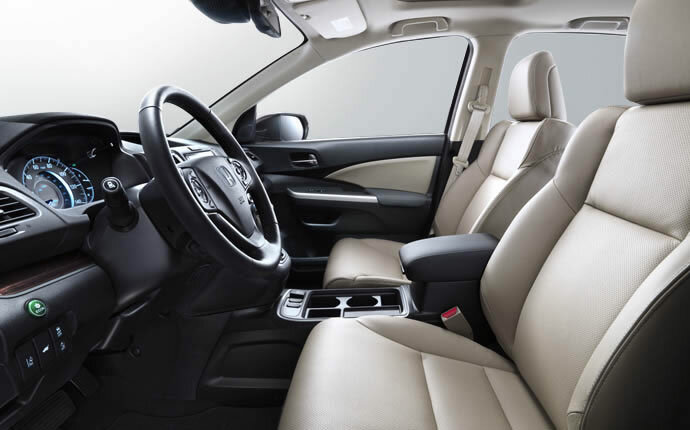 The 2015 CR-V has an outstanding maximum passenger volume of up to 104.1 cubic feet, and a storage capacity of up to 70.9 cubic feet when rear seats are folded down. The 2015 Ford Escape provides less space for both cargo and people, despite using similar split-seating options. It would also be fair to say that the Escape has very little in the way of handy interior storage options, so bits and pieces of luggage can easily overflow or go missing. The 2015 Ford Escape is a decent vehicle, but the 2015 Honda CR-V comes out on top. 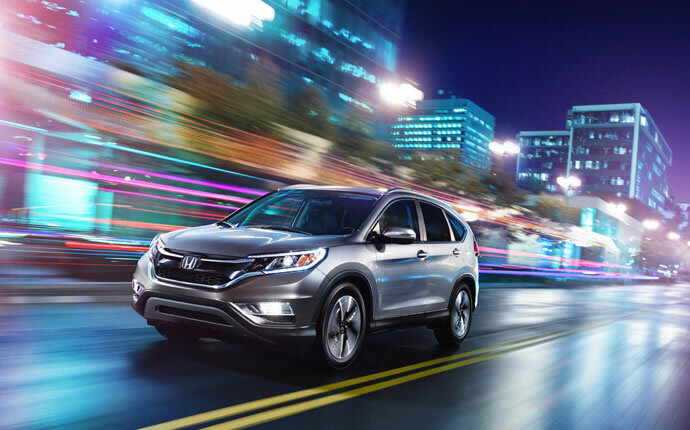 To experience this vehicle yourself near Mechanicstown, come to Middletown Honda today.